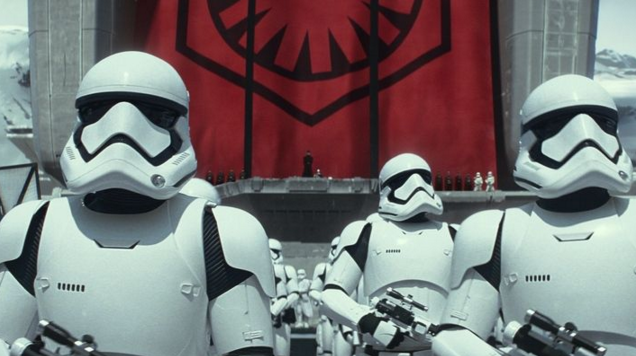 Here are small-business marketing lessons we can learn from the latest Star Wars movie. It almost seems unfair, doesn’t? I’m talking about the Disney-Lucas film connection and therefore also the Star Wars franchise. But instead of sitting here wallowing in envy of this super-heavyweight marketing marriage, let’s look at what Disney is doing to promote the upcoming and eagerly awaited installment in the Star Wars series, Star Wars: Episode VII—The Force Awakens and outline five lessons we can use in our small business marketing campaigns. The movie itself is being released around Christmas. However, boatloads of collectibles and gadgets tied to the movie were released (in the U.S. and some other cities around the world) on “Force Friday” (their moniker, not mine), which was on Sept 4. Further, echoing what they do with the Star Wars movie openings themselves, buyers could get into stores at 12:01 a.m. on that magical Friday. This strategy caused a double whammy of anticipation. The announced release of the merchandise created huge demand for the items themselves and the Force Friday event as a whole created added anticipation for the movie that follows in a few months. Take away: Don’t merely announce a sale on Friday. Toss out hints that something big is in the works so you can create interest before you make the actual announcement. Of course, this doesn’t have to be a sale; it could be a new product or service. The point is to milk more value out of it than just making a single announcement. 2. Be clever in your promotion. As I said above, the release of merchandise was called Force Friday. The label is easy to remember, it relates to the franchise and it uses alliteration. Looking at the label they attached to this event it seems obvious now, but I can assure you that they tossed around a lot of language before they settled on “Force Friday.” They knew that once they committed, there was no turning back; it had to be perfect. Take away: Come up with labels, headlines, and hashtags that stick in people’s brains. Make them easy to remember and give them something to hold on to. As you prepare your marketing materials, don’t just slap things on the page. Craft your materials. Have people look at different versions and give you their opinions. Frankly, most diehard Star Wars fans are getting on in years. They have jobs so they couldn’t line up at stores waiting for the opening on most weekdays. However, they probably could swing taking Friday off. It made a lot of sense to do the 12:01 Friday morning release and then be able to look forward to a big shopping weekend. Take away: Do you think about the timing of your events? There are many things to consider and lots of possibilities. Do you want to time a big event with something else that is going on in your area? Are weekends or weekdays best? Evenings or mornings? The best marketers tend carefully to every detail. 4. Spill some inside information. 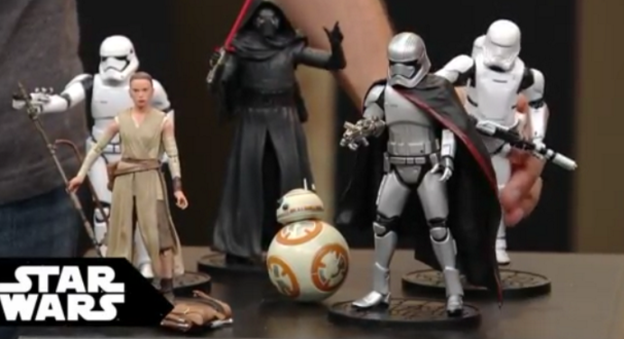 Disney “leaked” images of some of the new action figures that were going to be on sale. First, let me say that whenever you see the word “leaked” in the media—whether the subject is marketing or politics—the better word to use would be “planted.” Note that this is different than merely saying something like “Big sale next Friday!” You’re tapping into human psychology when you give someone a mental picture of a future event. Can you remember seeing a picture of something you wanted to have, like some cool clothes? In your mind you start to see yourself wearing the items. Take away: Just like the best ice cream parlors hand out taste spoons, let your customers have a “sneak preview” of sales, products or services. This helps build anticipation, or perhaps a better phrase would be “pre-release demand.” Also, once the event arrives, this opportunity is gone forever. Even with the power of the Star Wars franchise backing them up, Disney enlisted YouTube influencers through Maker Studios, which it owns. They had 14 Maker stars from around the globe do some live “unboxing” of the merchandise in the days leading up to Force Friday. Take away: You don’t have all the expertise you need to pull off a major marketing push. Bring others onboard. What industry, national, or local influencers can you get involved in your project? Also, give them artistic license. You want to maximize what they bring to the table, not just have them be an extension of yourself. I think few of us will ever be directly involved with a marketing blitz as big as releasing a Star Wars movie and its related merchandise, but we can watch what the professionals in charge of those events do, and learn some valuable lessons. 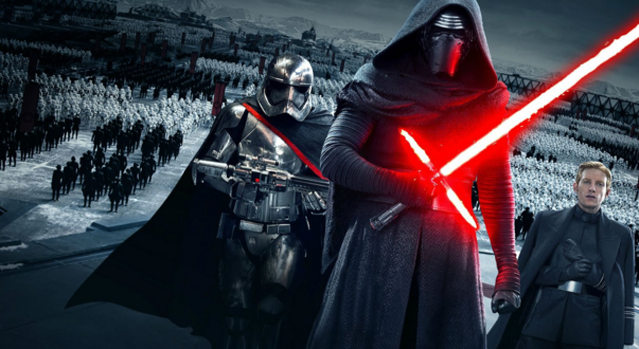 Photos from 'Star Wars: The Force Awakens,' Walt Disney Studios Motion Pictures and Flickeringmyth.com.